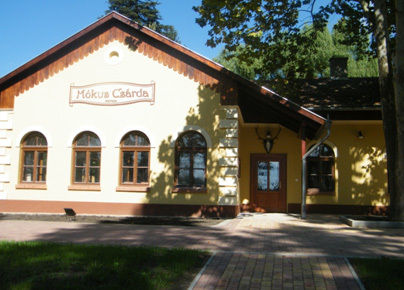 We happily inform You that the former so popular Mókus Csárda awaits his guests again. This restaurant is in a calm, beautiful surrounding. From the start of October 2010, we undertake private parties, but from April 2011, we are open to the public as a restaurant. The restaurant has been nicely renewed, so it can be the spot for programs of any kind.